First Time on Market in 35 years! 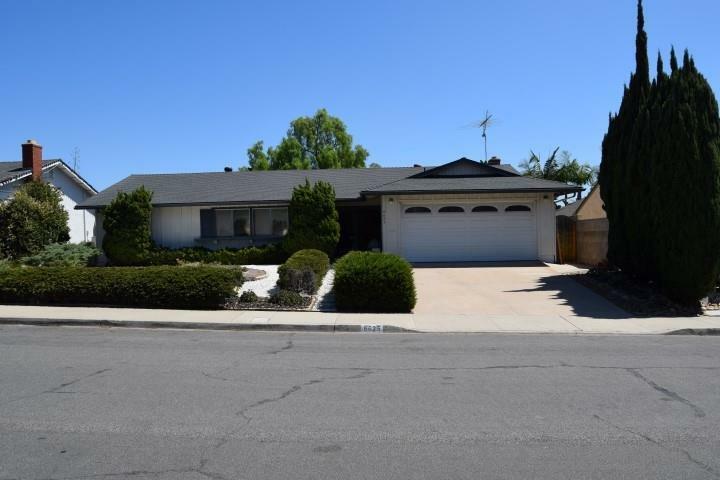 Traditional 3 bedroom, 2 bath home in San Carlos, near Del Cerro!!! Home features a spacious floor plan with 20x14 Family Room, enclosed Sunroom that is complete with a wood beam ceiling, Central Forced Heating, Dining Room overlooking front yard, block surround fireplace with gas starter in Living Room and a solar tub lighting in main bathroom. The kitchen offers tiled flooring, a double oven and is open to the family room. See Supplement, The Large Master suite has a private bath that offers a glass enclosed tiled shower. Enjoy entertaining in the low maintenance water conscious backyard that is complete with several stepping stones surrounded by rock decor, several fruit trees, a garden shed and views of Cowles Mountain. The attached 2-car garage has auto roll-up door, laundry facilities, utility sink, storage and a door for backyard access. This home is just awaiting your personal touches to call it your own. Located in close proximity to Lake Murray, schools, parks, freeways and shopping.